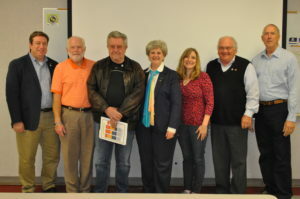 Our first ever Rotary Leadership Institute session held in Sparta, NC on March 9th was a great success! 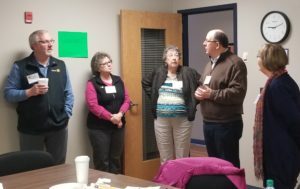 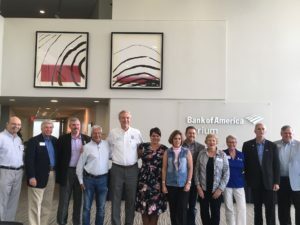 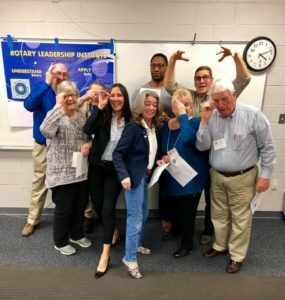 Twelve participants from Alleghany County, Ashe County, and even from Virginia attended and were energized by each other’s knowledge and enthusiasm about Rotary and their clubs. 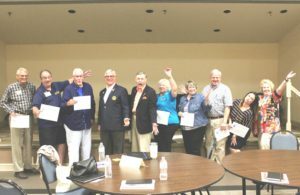 Three of the attendees had been in Rotary for under 1 year! 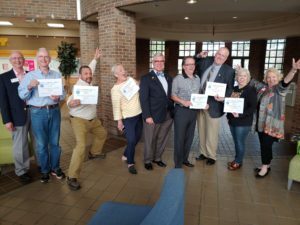 It was a dreary cold day on the outside, but inside was full of sunshine and energy! 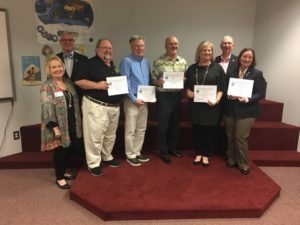 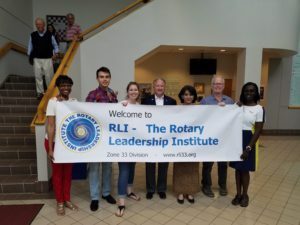 In fact, Rotarians enjoyed the Part 1 session so much that we set a date then and there to bring RLI Parts 1, 2, and 3 to Sparta on October 19, 2019! 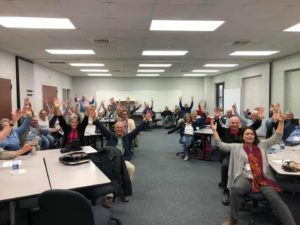 Come peep at the autumn leaves and attend with us for food, fun, fellowship and learning! 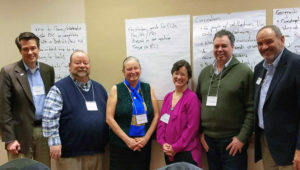 These three Part I participants chose to define their Rotary Clubs as “Strong” and having “High Impact” in the Engaging New Members session. 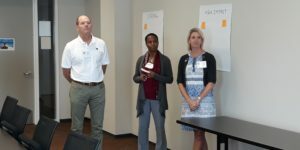 L to R: Scott Powell, Greenville SC Rotary Club; Jacqueline Brumell, Rotary Club of Spartan West; and Leslie McArthur, Rotary Club of Charlotte Providence. 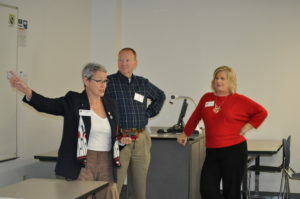 Jacqueline and Leslie have been Rotarians for only a year and are already engaging tremendously!